I said that I would post this recipe. 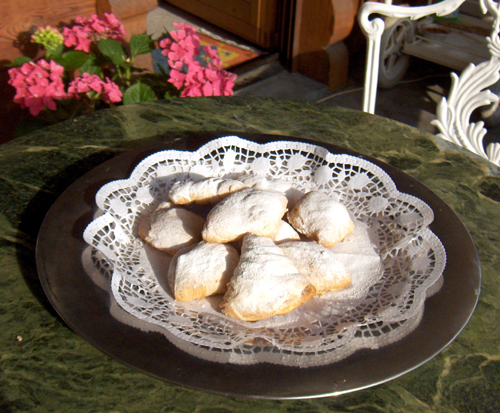 They are delicious but although the pastry is satisfactory it isn't as fine as machine made. I would love to hear from anyone who attempts to make it. Beautiful flakey layers, looks like the chefs use a sheeter for these fancy pastries! I have seen the machine they use and it is pretty amazing. It spins the layers around, not at all the same as when you make them by hand. I handmade the ones you see at the bottom of the post, but the ones at the beginning were bought in Como. I just came back from a store in Aventura, Florida where I have bought them in the past and yes I bought one, ate it in the car couldn't wait. I thought they made them inhouse and wanted to take a picture of the machine. But they also buy them and just bake them onsite. for posting the recipe, Patricia! I keep thinking of this wonderful pastry and having a (so far unused) pasta machine, I think this might be the first time I'll use it. Oh, these are pretty! They look wonderful to me. I'm encouraged to see them, and think it's possible to attempt these at home. I'm wondering about using the premade pastry sheets used to make baklava...think it'll work? No Phyllo dough does't work. The dough for this pastry is very different and in fact none of the pastries suggested like puff pastry of pasta frolla are not good for this pastry. I really think if you want to make them, try the real thing at least once so that you get the idea. You will see that the ingredients for the dough is also completely different. You can make the pastry and fold them over like a closed clam shell instead of pushing them into a pocket. They don't look the same but at least all the ingredients are the same. Sometimes it is better just to buy them. Most bakeries don't make them inhouse either, they buy them frozen and bake them inhouse. Phyllo dough and premade Puff Pastery dont work. I have seen recipes saying you can do this but I never see pictures of the final result, just some stock picture they snagged from some other site. The reason those wont work is mainly because the dough has to be very stretchy like a good pizza dough, but thin nilke Phyllo which tears just by picking it up. Sfogliatelle dough seems to sit right in the middle of those, but not either. Its probably closer to a traditinal German Strudel dough whish is streched across a table before by hand. 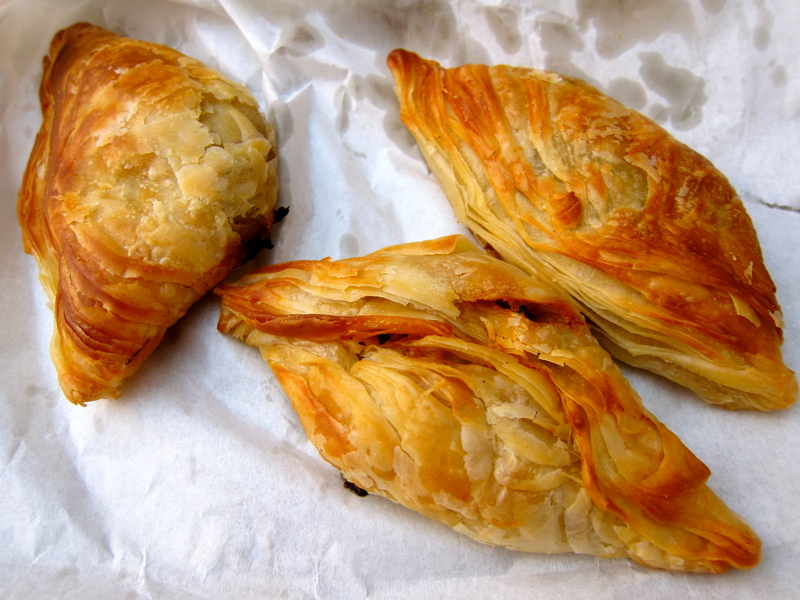 There is also a Maltese pastry called Pastizzi wich is very close to the Sfogliatelle except for the last forming step which has a different look but lots of leaves. It's more of a rough pod shape.